As a leader in aftermarket AC and DC brake repairs and rebuilds, Duke Brakes carries a wide variety of replacement parts and crane brake systems from manufacturers such as Westinghouse, EC&M, Cutler-Hammer, Wagner and many more. 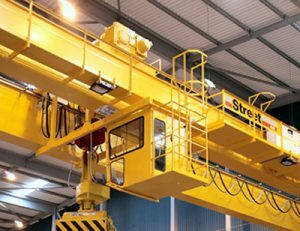 Our company has built a solid reputation for providing unparalleled service and support towards the repair, installation and maintenance of crane brakes. Whether you are operating an overhead, gantry, bridge, jib or everyday light duty workshop crane, you can rest assured our technicians will help you find the right solution for your application. Check out our product listing below or contact us now if you have any questions.